Entry to property after 3.30pm, vacate property by 10.30am (unless by arrangement). 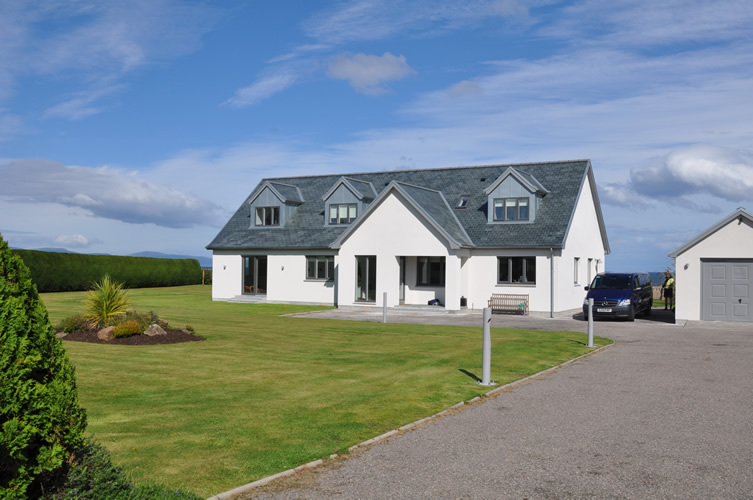 4 bedrooms - 4 bathrooms (2 en suites). 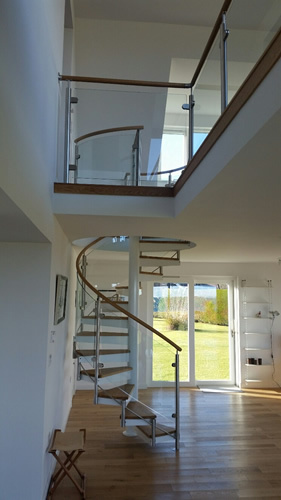 The Third is a Superior (250SqM), bespoke, open and very spacious house, rebuilt and extended, according to new drawings by recognised Swedish Architect, to a very high standard along with quality modern furnishings, comfortable seating areas and panoramic views. Large dining living area with a TV lounge. A newly fitted kitchen with all high quality utilities to cater for large parties. 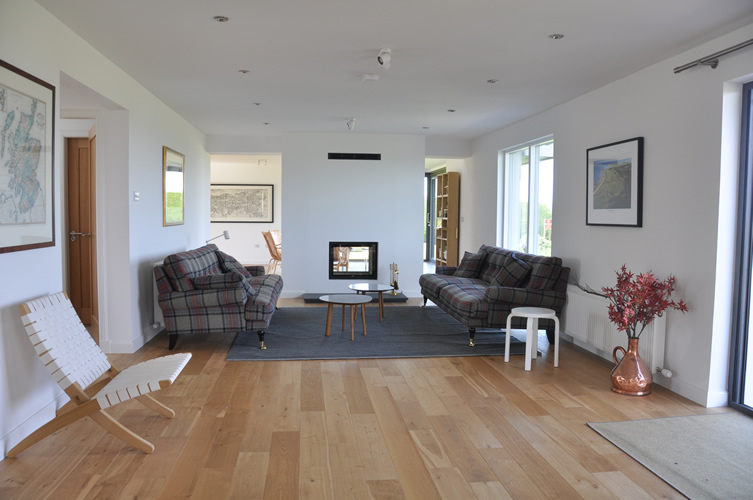 A double fronted log burner between the lounge and the Library for those cosy evenings. 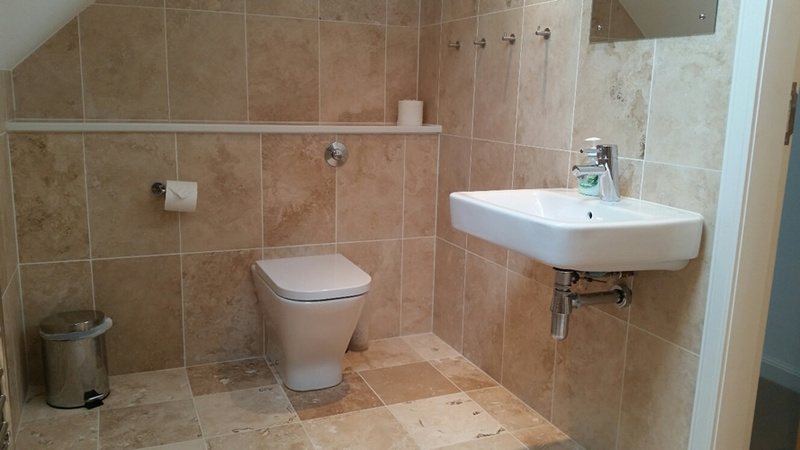 Classic shower rooms and bedrooms. Free Wi-Fi, Apple and Sky TV. 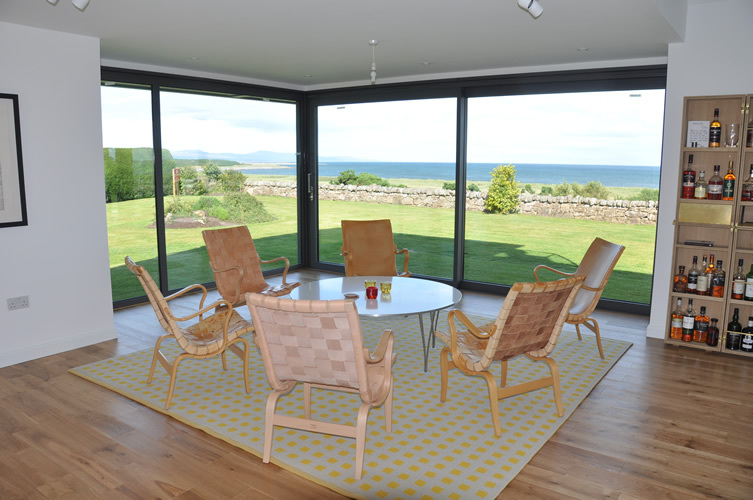 The owners are as keen to make the outside as welcoming as the inside, allowing you to take full advantage of the stunning views across the Royal Dornoch Golf course and to the sea beyond. 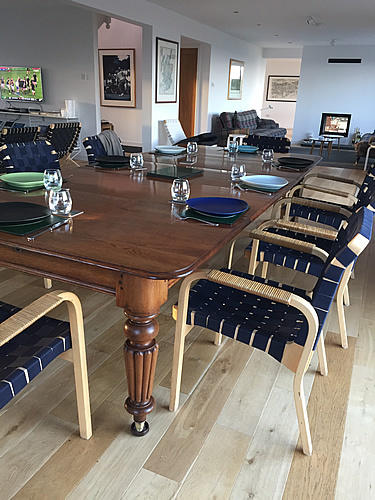 Just imagine, strolling out through the patio doors on to the large decking with canopy overhead, first fresh coffee of the day in hand, watching the 'early bird' golfers taking their second shot to the 3rd green. Heaven. 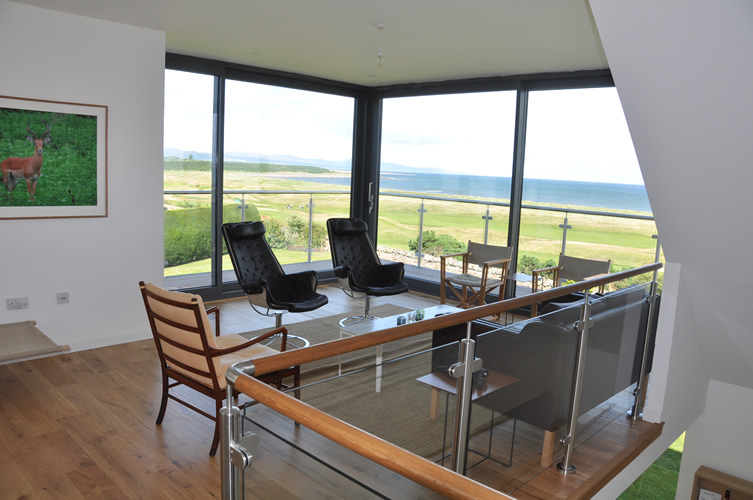 In the evening you have a choice of where to sit and there can be nothing better than in the upstairs lounge with its panoramic views and sliding doors onto the overhang balcony with a fine whisky in hand. The owner has an extensive collection of whisky’s available from the honesty bar. 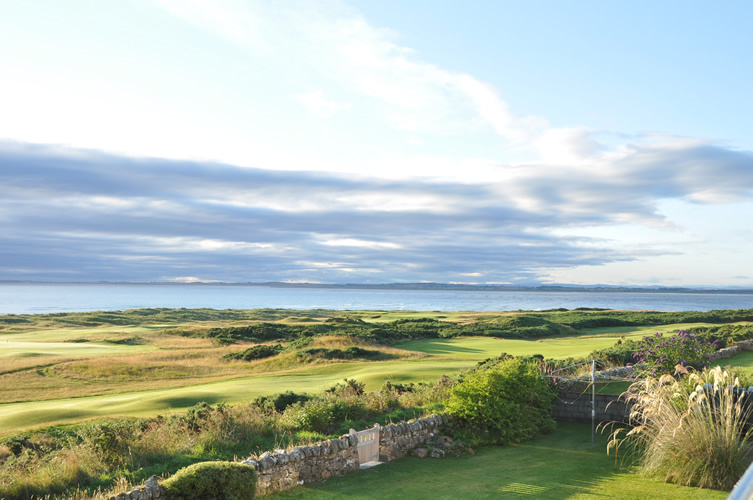 The 3rd and 14th hole (Foxy) of the world famous Royal Dornoch Championship Course is just in front of the house. 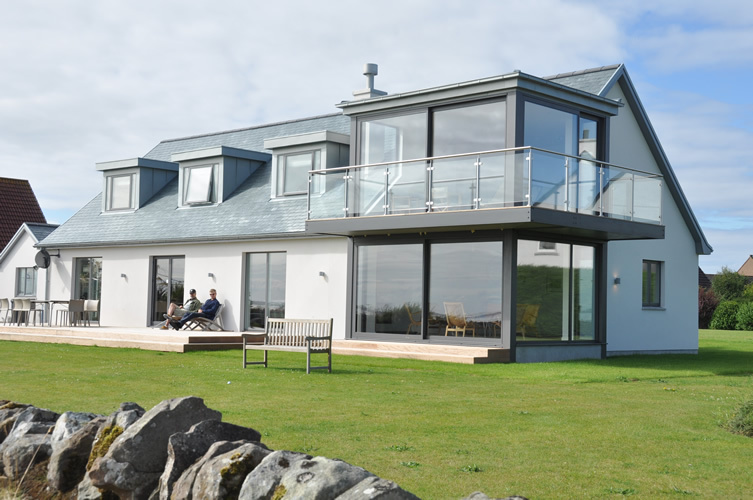 This house has a 180 degree stunning view over the whole golf course and out to the sea. Separate to the house and situated in the garage is a laundry room with washer and dryer hanging area and storage and stand for golf bags. 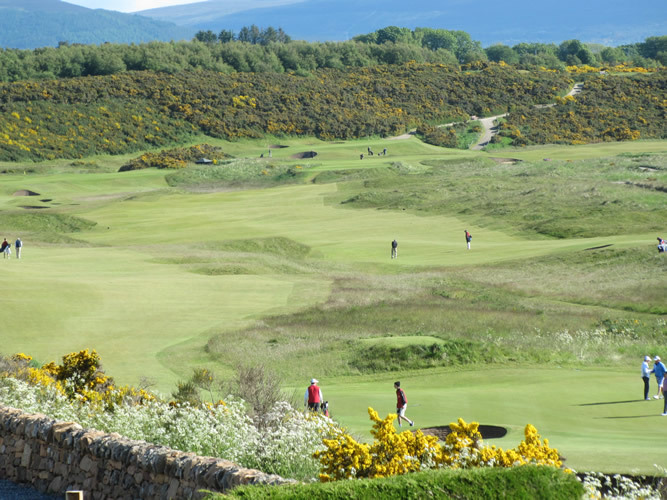 The large garden has gated access to the path that runs parallel to the first 6 holes of the championship course, with an easy stroll to and from the clubhouse. 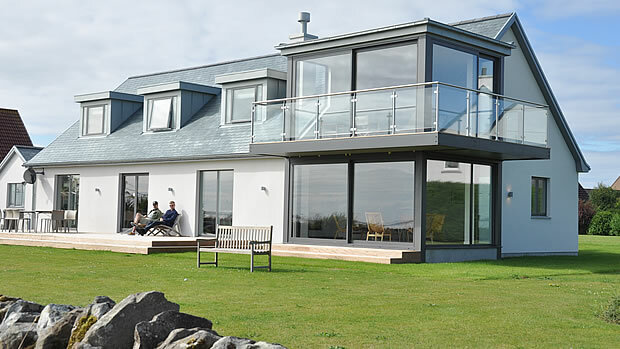 The beach is accessible by walking from your back garden, across the course and over the sand dunes. 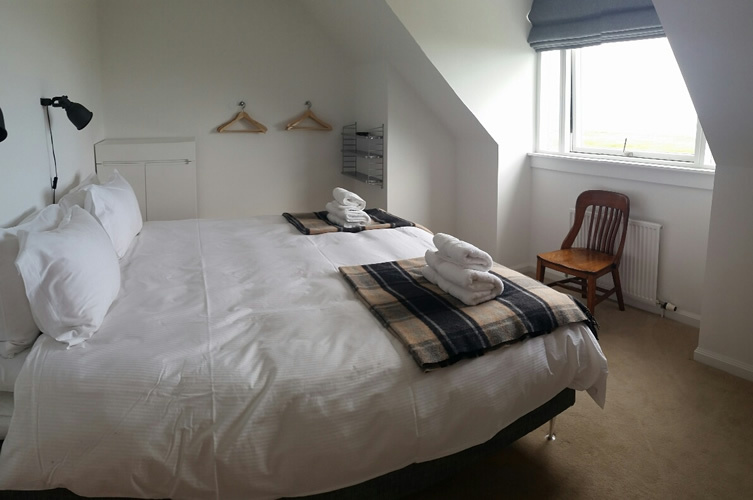 By car, the golf club, beach and town centre are just a few minutes away.